We are delighted to welcome Claire Fuller, an alumnus of The University of Winchester’s MA in Creative and Critical Writing, as our next speaker in the Winchester Reading Series 2015. 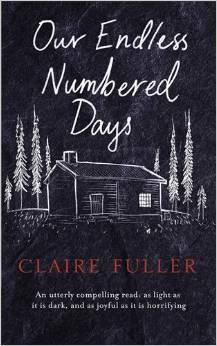 Claire’s debut novel, Our Endless Numbered Days, was published in February 2015 and has received brilliant reviews (at the time of posting the book has 4.9 stars on Amazon and 4.08 on Goodreads). Claire will talk about how she wrote the novel, how she found an agent and what happened next. She will also read an excerpt from her book. If you would like to hear about Claire’s experiences as a debut novelist, please come to room SAB001 at the University of Winchester on Tuesday 17th March. This free event starts at 6.00 pm and everyone is welcome. Copies of Our Endless Numbered Days will be available for purchase. This entry was posted in Winchester Reading Series 2015 and tagged Claire Fuller, Litmus 2015, MA Creative & Critical Writing, Our Endless Numbered Days, University of Winchester, Winchester Reading Series by Litmus 2015. Bookmark the permalink.